The budget for one volunteer is on average $20,000 per year. 88% of the financial resources go directly to the support of the volunteer: for insurance, to make sure they are safe, their medical care plan, stipend, training, living and transportation, and direct follow-up while they serve on the projects. The rest is for management of the organization. The volunteer seeks a support base for $14,000 as the Fidesco organization receives subsidies for the remaining $6,000. Your gift of $5,000 will cover all the costs associated to training and support on the ground for one volunteer for one year, $1,800 will cover all travel expenses for one volunteer, and $300 will cover one month of food and stipend for one volunteer. To support a volunteer, please contact donations@fidescousa.org, or go to the “donate” page. We would be happy to tell you more! By sending its skilled volunteers, FIDESCO provides an essential support to its local partners who work in underserved communities. FIDESCO strives to leverage this support by finding funds earmarked to projects that are crucial for the future of the local partners. 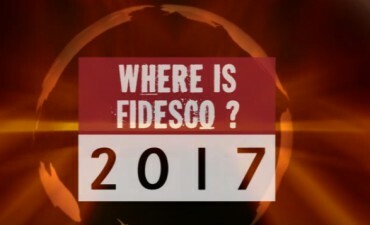 FIDESCO receives many requests for support and performs a due diligence through its volunteers on the ground and the FIDESCO representative offices’ staff before selecting them in its portofolio of “projects in need of funding”. You can also donate your time to Fidesco. As we continue to send more volunteers overseas, we need lawyers, accountants, filmakers, marketers, anyone with a skill who wants a chance to assist internationally, or is looking to build their skillset, would be extremaly valuable and would play a critical role in our mission. If any of these sound like skills of yours, or if you have a talent you would like to offer, donate pro bono services, info@fidescousa.org. We will be happy to offer all credit for your generous assistance.